Eric brought in his 2015 Ford F-150 to have it put under a little pressure! 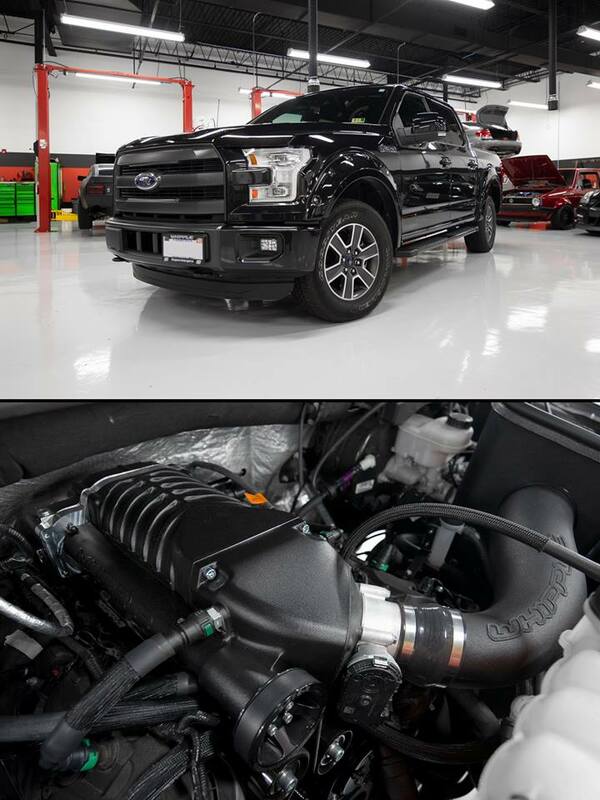 We set up the 5.0L Coyote with one of our go-to supercharger systems: a W175AX Gen-III 2.9L twin-screw system from Whipple Superchargers! While we were there, we also addressed this otherwise amazing engine’s Achilles Heel, and installed billet oil pump gears from Modular Motorsports Racing – MMR. Now that Louis has wrapped up the mechanical work, she’s hitting the rollers to get dialed in by Vlad via HP Tuners!